In both cases, whether booking via brand website of an App, once the location is enabled by the user, the site as well as the application automatically lists out all the movie halls nearby that is owned or leased by the particular theater brand. However, if you are not sure which hall is better or you are flexible on the choice of the movie hall, you can simply search on a search engine with the name of the movie. The search engine will list out all the theatre halls within a certain radius from your location that are featuring the movie. You can then choose the hall website that you prefer and proceed with movie ticket booking. At the online portal, you would be asked to choose the movie and the show time. Every movie that is being shown at the particular hall will be mentioned on the home page and when you click on the name of a movie it will take you to a page that lists out the timings and price of tickets. Choose the timing. You will be directed to a small window or a page that would feature the seating inside the auditorium with seats clearly marked as occupied and unoccupied. 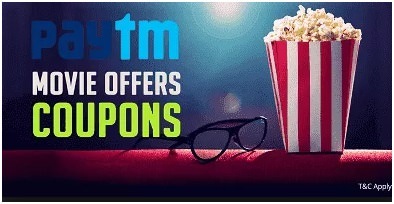 With online movie ticket booking, viewers now can choose their preferred seats. Choose the seat numbers as per your choice and submit. Once the movie, the timing and the seats have been firmed up, the site will ask for payment. It will ask you to choose from options like credit card payment, debit card payment and Netbanking. Select the option that suits you and furnish your details so that the payment gateway can check with your bank on the availability of balance, deduct the money and return back with a confirmation of the ticket. You will immediately receive the e-ticket on your registered mobile number. The process with the reseller site or App is also similar. Select the film name, choose the movie hall that is closest to you or is as per your preference and choose the timing of the show. You will then be shown the floor plan and seating of the hall with occupied and unoccupied seats marked visibly. Choose your seats and then proceed with the payment. The advantages are – easy booking; flexibility of choosing your seats; secure payments using cards or Netbanking and the chance to win a voucher or a cashback offer.